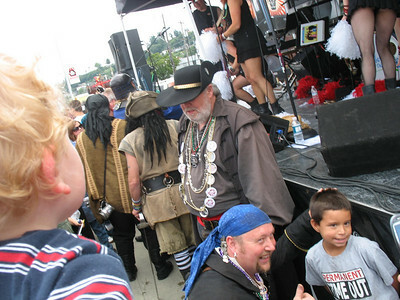 We went to West Seattle Kids Parade (lots and lots of kids) and met some of my PEPS friends there. 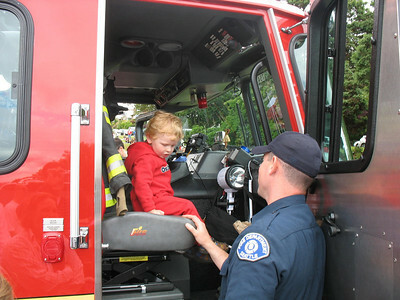 There was a fire truck - after some waiting in line I got my turn and sat in it for 2 minutes. A nice fireman showed me around and gave me a sticker. The next day we went to Alki Beach. After fish & chips for lunch a big ship came and some big bellied men with white beards came out. Daddy told me these are pirates. They went on stage and did some piraty stuff and that was it. On the way back to our car I got icecream and we played on the playground.